Sleeping babies in prams outside of restaurants while parents dine with a watchful eye; young children given the freedom and space to explore their surroundings; a parent kneeling down to comfort an unhappy child, effectively heading off a tantrum. 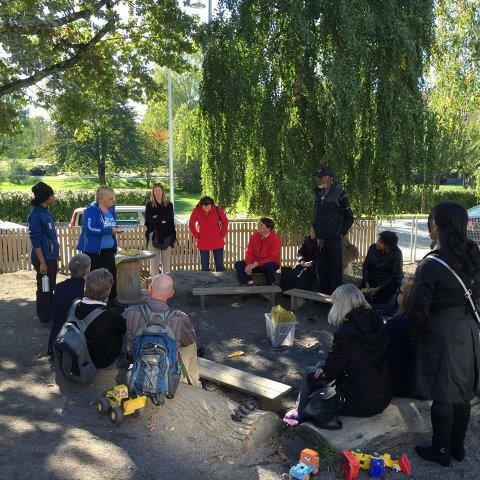 These are some of the moments that WCI Early Childhood Coordinator Nancy Jost remembers during her recent visit to Sweden, moments that illustrate Sweden’s culture of nurturing children and families. More on those moments later. Nancy was part of a Minnesota delegation exploring the country’s early childhood development model. Coordinated by the Minnesota Council on Foundations and funded by the Start Early Funders Coalition, the delegation included Minnesota Initiative Foundation staff--like Nancy--researchers, early childhood professionals, consultants, legislators and representatives from the United Way, Gov. Dayton’s office, the Blandin Foundation and the University of Minnesota. Sweden ranks high in quality early childhood education and care. The country believes in children’s rights, and is one of the first to sign the 1989 United Nations Convention on the Rights of the Child and enforce it in society. There are cultural similarities between Minnesota and Scandinavian countries. The two are also similar in welcoming a high percentage of immigrants, given the population size. The delegation hopes to establish a long-term learning cohort. In the U.S., people would not look favorably upon a child napping outside a café--even under a parent's supervision. Throughout Scandinavia, however, sleeping tots outside of stores and restaurants are a common sight. Spending time out of doors in general is seen to have many health benefits. Preschool children spend a large part of the day outside. At one preschool Nancy visited, that amount of time was 90 percent. In fact, a three-sided shed in the outdoor play area served as the center’s napping space. “Parents feel secure in a society that cherishes their young children. And children feel free to explore the world around them within the safe confines of a society that values them,” Nancy said. Preschool in the U.S. usually starts at age three or four—if a child attends at all. By that age, most Swedish families would have had their children in preschool for a couple years. That’s because it begins at age one, when care outside the home begins. Thanks to a generous national parental leave policy, one or both parents usually spend the entire first year with their child. That scene Nancy witnessed of a parent comforting a child before a tantrum could erupt was one aspect of how a deep bond forged early can help both parent and child navigate the bumpy terrain of life. That first year together for families is particularly important, because, like Minnesota, Sweden has a high number of working mothers—81 percent. But the added expense of child care is greatly reduced by the Swedish government. Full-day child care is available from 6:30 a.m. to 6:30 p.m. for children ages one to six. “It is designed specifically to support working families,” Nancy said. Both independent and public preschools in Sweden are governed by municipalities, which are required by law to educate every child, if the parent or guardian desires, from age one to five. The government provides the same funding for each child enrolled. The children Nancy saw playing outdoors, without the need for expensive playground equipment? That emphasis on unstructured play is actually prescribed in Sweden’s national preschool curriculum. The surprisingly slim, 16-page document provides a framework with overarching goals and requirements, yet is nonspecific about how these are met. “That means it is flexible. Schools document their programming and how it meets the requirements without being forced into a regulated, cookie-cutter approach,” Nancy explained. The Minnesota group was surprised to find there is no formal testing of Swedish children until third grade. They do have inspectors who visit the preschools, but it’s the adults and not the children who need to prove the children are learning, and not the children themselves. Staff keep folders on each child filled with notes and photos that document the child’s progress. 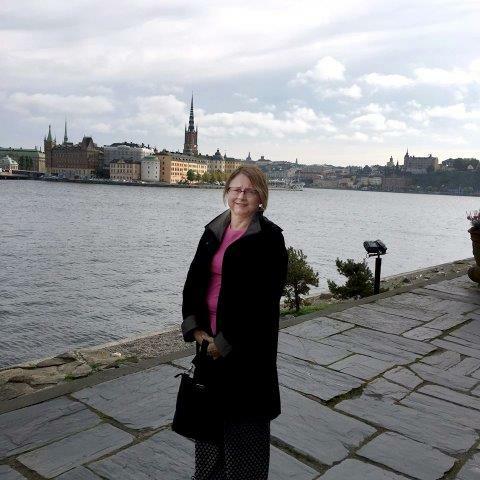 Nancy Jost was part of a Minnesota delegation researching the Swedish model of early childhood care and education. The delegation met with university academics, early childhood professionals and government officials, and visited preschools, like this one. 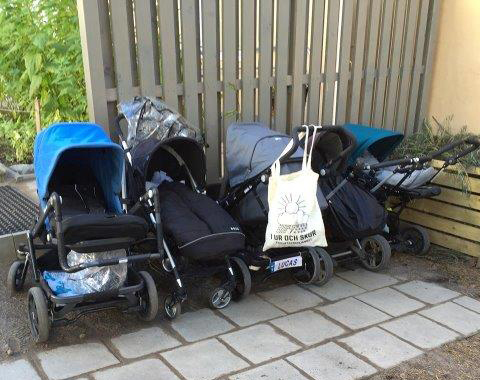 At one preschool, the youngest children napped in buggies in the preschool courtyard. 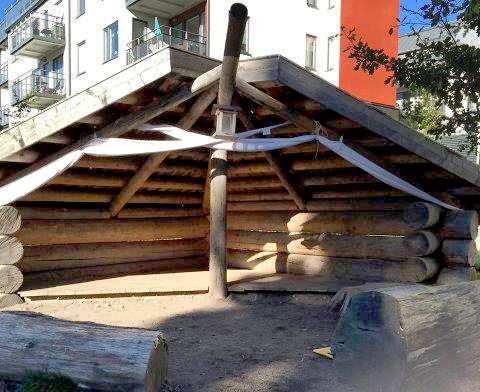 At the same preschool, children napped under a lean-to nearly year round.